Shaofu Zhang has been inspired by film and animation from an early age. From post-it note doodles to Play-Doh stop-motion to Lego short films, Shaofu grew up with a passion for telling stories. As his passion grew from dream to reality, Shaofu built a career as a character animator at Walt Disney Animation and Sony Imageworks. In addition, his student short film “Dragonboy” won the gold medal at the 38th Student Academy Awards in 2011. Currently, Shaofu heads TAIKO Studios as CEO and Founder with a team of Disney veterans. TAIKO has just finished their debut short film “One Small Step” about a young Chinese American girl who dreams of being an astronaut. 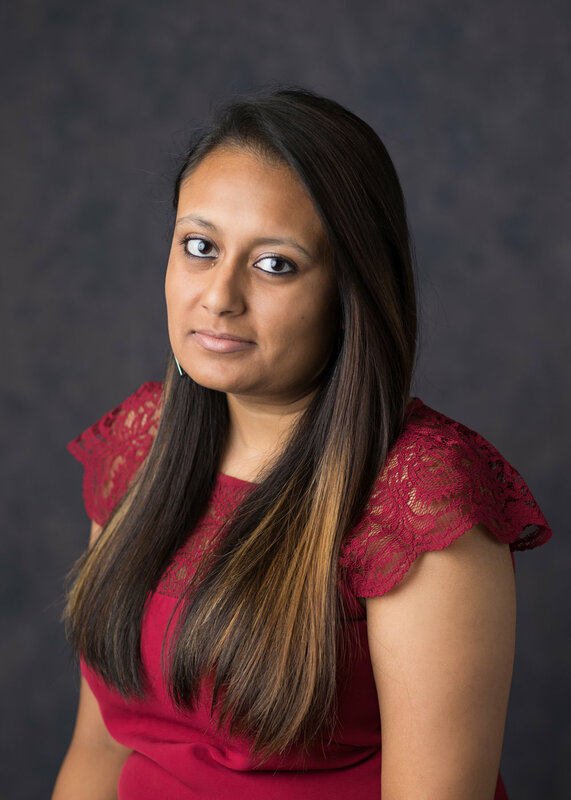 As an American-raised Indian woman, Rika Dharmesh Bhakta quickly realized pursuing anything unrelated to the maths and sciences was going to be a feat. She is known for her extreme passion for all things organized; excel spreadsheets may be her favorite thing ever created. Her dream of working in the entertainment industry has survived her extremely traditional extended family and a plethora of allergies. Still tied to her culture and heritage, she has a passion for tackling social issues through diasporic television. After graduating from UNCW with a BA in Film Studies, she went to Florida State University for an MFA in Film Production. She graduated August 2017, specializing in creative producing and screenwriting. She currently resides in Los Angeles, working a paid internship in television development at Entertainment One and also at management and production company Circle of Confusion. Eliza Bryan is a multi-media maker and scholar who was born and raised in Raleigh, NC. She graduated with a B.A. in Film Studies, focusing in documentary and experimental production, in 2014. Most recently, she finished an M.A. in Media Studies: Film and Photographic Studies at Leiden University, where she spent a year living in Leiden, Netherlands. After her time as Outreach Coordinator for Visions 4 and interning for Cucalorus, Eliza built on her fascination with the film festival phenomenon by focusing her thesis on special interest festivals in the Netherlands, entitled “Little Planets in a Festival Galaxy: A Report on Special Interest Film Festivals in the Netherlands,” One of her proudest achievements is creating the Cinekid Mixer for Visions 4, which is still a part of Visions outreach today! Natalie was UNCW Film Studies graduating class of 2009 and made her way to Los Angeles shortly after. After working odd jobs, including a Page gig at CBS on The Price is Right, she got a job at Premiere Digital Services in 2010. As an encoding house and an approved aggregator, Premiere Digital assists rights-holders of short and feature film, TV and web series content in getting live on platforms like iTunes, Amazon, Netflix, CableVOD, etc. Natalie works with studios, distribution companies, sales agents and individual filmmakers, spreading the word about DIY digital distribution as an strategic option. We want everyone in the Indie filmmaking space to know about this option that allows you to maintain control of your content, as well as all rights and royalties earned! Sway Davenport was drawn to film at an early age by his mother's extensive collection of VHS tapes and a camcorder that was often used to capture family events. When the time came to choose a career, Sway wanted to pursue something that combined his love for various art forms. Film embodied that in one medium. Sway has worked with Hollywood Director Bill Duke, served as the after party coordinator for visions film festival and conference, and currently works as a set/rigging electrician in Atlanta. His recent projects include Stranger Things (S2), Atlanta (S2), Baby Driver (2017), Being Mary Jane(FIN), and Bad Moms Christmas (2017)... “IMDB,” When he is not working, Sway can be found following his continued passion for independent filmmaking or strolling Atlanta’s beltline trail with his Great Dane, Omega. Brooks Lee graduated from UNCW in the Fall of 2013 and currently lives in Atlanta working as Associate Editor of Media Production for CARE. Founded in 1945 with the creation of the CARE Package®, CARE is a leading humanitarian organization fighting global poverty. Brooks spends most of his time in post-production, but occasionally CARE sends him out in the field to capture footage (last year, Brooks traveled to Guatemala and Ghana.) In his free time, Brooks enjoys reminiscing on his college days, when the beach was just a 10 minute drive away and Wag served breakfast until noon on Saturdays. Shelby Treichler graduated from UNCW in 2011 and worked in Wilmington for several years on projects including Sleepy Hollow and Iron Man 3. In 2015, she moved to Atlanta where she continued working in the property department on films including Passengers, Spiderman and Black Panther. Yates is a human being from Fayetteville, North Carolina. His experimental documentaries, music videos, and photographs have been shared via outlets such as Slamdance, Anthology Film Archives, VICE, Vimeo Staff Picks, and Photographer’s Forum Magazine. He currently works as an Instructor of Media Arts in the School of Visual Art and Design at University of South Carolina.